Anna Meryt Writings: Part 3 To sport ot not to sport??? Part 3 To sport ot not to sport??? 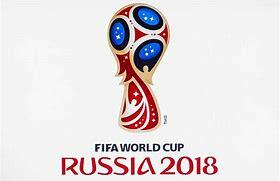 This World Cup fever is torture for people like me – sport-haters, because the entire media seems to think EVERYBODY in the Universe wants to know about the game 24/7. The news is briefly hurried over by the BBC so they can get on with the important stuff – the World Cup for example. If I ever moan about it I’m shot down in flames or I get a dismissive look. If I say it’s a sport for men with largely male supporters I’m told that’s rubbish – loads of women support the beautiful game too. 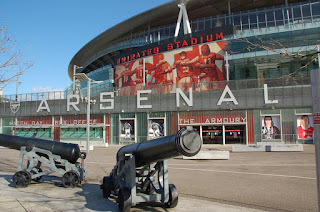 I pass the Arsenal football stadium regularly on my way to my Buddhist centre. We hear the crowd roaring when we're all meditating. I know what I see when there’s a match on. You can practically smell the testosterone in the air – thousands and thousands of men – there’s the odd female wife or girlfriend tagging along sure. Perhaps a few female supporters in their own right. But what I see is a giant male army advancing towards me, phalanx after phalanx, intimidating and reluctant to give way to my car as they're walking down the road 10 rows deep. And if you're on foot on the pavement it's quite scary for a lone female. My neighbour Pauline will cry ‘rubbish’! She’s a season ticket holder to the Arsenal and those tickets don’t come cheap. She takes her nephew to all the matches and has no truck with those like me saying that it’s a guy thing. Which brings me back to where I started. My feelings about sport … I know a few guys who have no interest in sport either. And why, if social media is so clever and knows how to categorise you by your likes and dislikes, do they send me special Sky or BT or TalkTalk sports packages or today even I got a special deal sent to me by Amazon - BOOKS about sport? Why no SPECIAL DEALS for those who don't watch sport? So much for social media profiling. OK I'm getting down off my soap box now. My next foray into the world of sport, was slightly more successful than the last two listed in Sports blog 1-2. If you need to catch up scroll down past this blog. 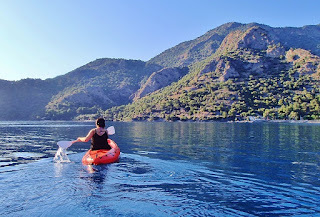 For 20 years one of the places I’ve been travelling to frequently is southern Turkey. 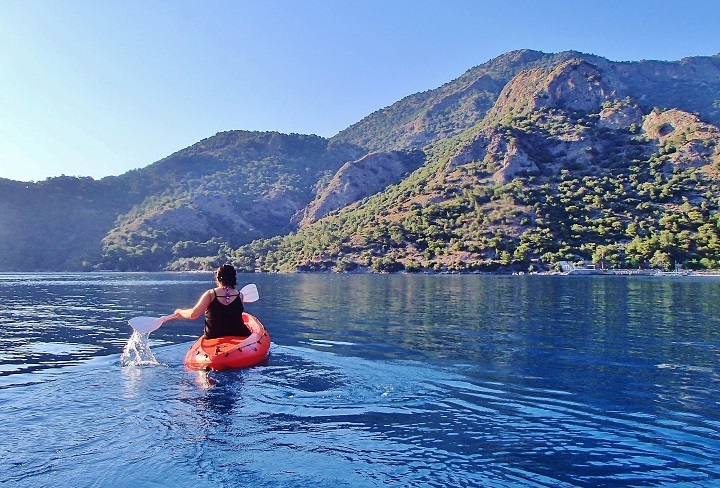 A place called Olu Deniz – a special place in a beautiful location on the Mediterranean. There’s a white sand beach and crystal clear sea. 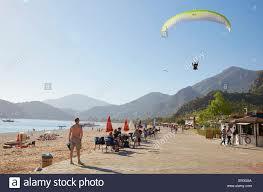 It’s also a place where there are many hang gliding/paragliding outlets. 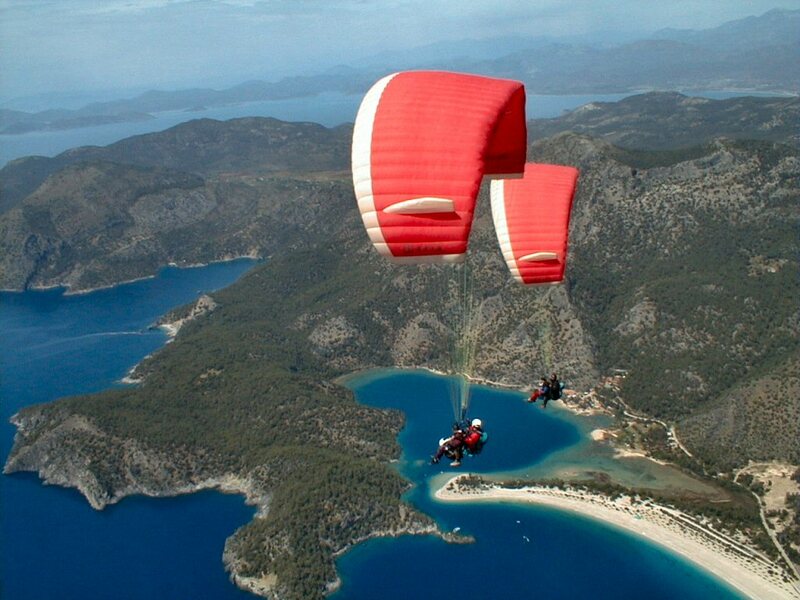 For 50-80 quid you can jump off a nearby rocky hillside, swoop down over the endlessly sparkling sea and touch your feet down on a landing strip in front of the bars and cafes along the beach front. All day long you can watch the graceful billowing puffy chutes in all their bright colours and patterns, landing silently, one after the other in a continuous stream. For years people had told me how fabulous it is and how I must have a go. All those years I did not try, firstly because often I was on a shoestring budget and it would have been a stretch. Second I liked watching them but had no burning desire to jettison myself off the side of a small mountain into the air high above the sea. No thanks, So I swam, paddled my canoe round to the lagoon and watched them - clustering dots in the sky, getting larger and larger until there they were doing they're final little run onto the landing strip. And then, one day I just decided to do it. 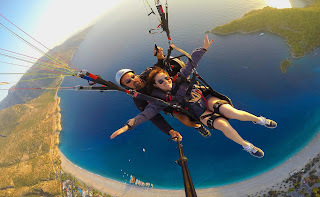 How wonderful, I thought, to have a bird’s eye view of beautiful Olu Deniz, to fly over the gorgeous seascape and touch down in front of my favourite Buzz bar? So I looked for a guy called Henry, behind the first rank of hotels close to the beach. He's Turkish married to a Welsh woman - we'd often stopped for a chat - we had a link - Wales. He told me to come back tomorrow and he'd give me a 'good deal' (Turkish-speak to tourists for knocking a few pounds off, but only if you're shaking your head and walking away usually). Next day there I was in the van winding up the mountainside, past rocks and scrub trees and stony landfalls. Zigzagging up we went until there we were at the top. My tandem 'instructor' put a hi-viz orange jacket on me, strapped me in to a nylon harness and told me to run down this short slope and jump into thin air. It all happened so fast I didn't have time to panic. He would be behind me and I was strapped to him. I first watched two other people do it with building apprehension, we were in a continuous queue. 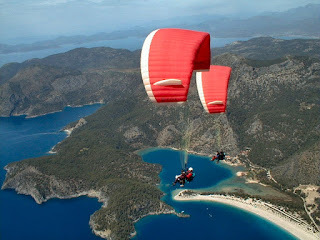 Before I could chicken out, he was pushing me along and we were launching into that same thin air, floating spread-eagled over the amber and green-dotted hillside into warm blue light and then gliding across the bay, high in the air and round the blue lagoon. The sea sparkled below. We circled and drifted. I hung below my instructor taking it all in, feeling slightly dizzy. He suggested we do a 'spin over'. No thanks, I said - did he take me for an 18 year old extreme sport enthusiast?. My stomach was holding it together, just, without any funny business. We swung round the bay and over the lagoon where ant-sized people swam and drank chai and ate feta salad and chips in the cafes and bars. Then suddenly we were approaching the landing strip, touching down and it was all over. through the forest of dusty pines. you couldn’t see me anymore. I glimpse the sky lapis blue and shiver in the shadow. Is this it at last? The time to jump? float me over the shimmering sea far below? Allah’s breathe upon your face’. 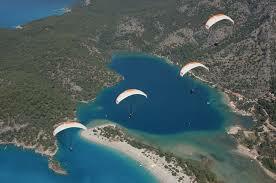 as I swoop over the pale turquoise lagoon. Now I’m swooning, the sky turns me upside-down. to land softly on the new road ahead.